1. WHAT IS A SEPTIC SYSTEM? A septic system is a subsurface wastewater treatment and disposal system. There are two basic components, a septic tank and a disposal field. 2. WHAT IS A MOUND SYSTEM? The disposal system is elevated above the original surface due to high ground water, bedrock, or other site constraints. Mounted systems usually include a pump tank and pump to lift the wastewater to the top of the mound system. 3. HOW OFTEN SHOULD I PUMP MY TANK? The NJDEP recommends the septic tank be pumped every 2-3 years by a licensed solid waste hauler. The frequency should be increased for older homes with smaller tanks. If you have a large family you will want to pump the septic tank more often to prevent solids from flowing out of the tank. Remember solids are digested in the tank, and not all solids are digestible. Therefore the solids level rises as the years pass; eventually the solids will go out the outlet baffle to the disposal field. 4. HOW DO I PROPERLY UTILIZE MY SEPTIC SYSTEM? 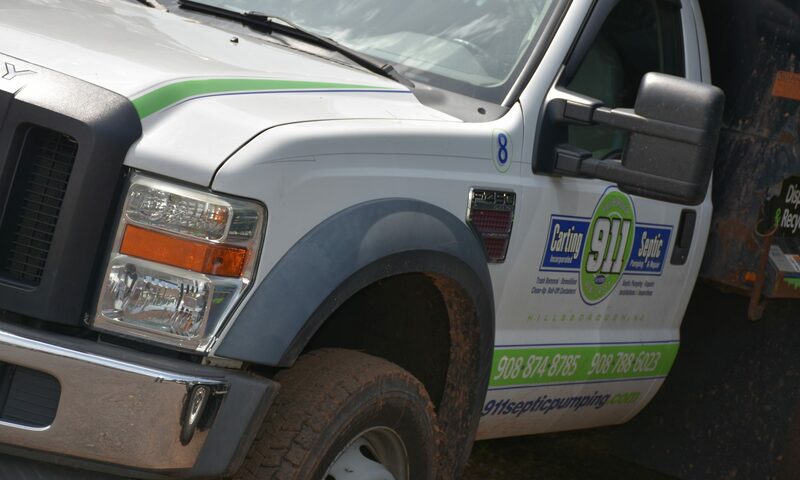 Septic systems are designed to treat sewage waste generated through normal activities (i.e. dishwashing, toilet flushing, bathing, etc) Do not put strong chemicals such as paint and paint cleaners, pesticides, solvents etc in the septic system. Remember the liquid fraction of the wastewater which includes organic chemicals is discharged into the ground ultimately contaminating the groundwater. Personal hygiene items such as condoms, feminine hygiene products, baby wipes, or other solid waste are not digestible and reduce the capacity of the tank. 5. DOES BLEACH HURT THE SEPTIC SYSTEM? At the recommended rates household bleach does not contain enough chlorine to harm the system. 6. DO I NEED TO ADD BACTERIA? The NJDEP “Homeowners Manual for Septic Systems” recommends no commercial additives. Human or waste of household origin contain an adequate variety and quantity of microorganisms to maintain properly operating conditions. 7. WHAT RULES AND REGULATIONS GOVERN SEPTIC SYSTEMS? The New Jersey Administrative Code in effect since 1990 is NJAC 7:9A. These regulations are specific to design and materials used in the construction of septic systems. NJAC 7:9A requires all septic systems be designed by a licensed professional engineer. The engineer is present during construction and also certifies the various stages of construction. The major component specified is Select Fill. This material is not readily available in Central Jersey and material and trucking cost are high. The last part is the size of the home. Septic systems are designed based on the number of bedrooms. The more bedrooms the larger the disposal area, and the more select fill required. 8. WHAT IS GREY WATER? Grey water is the sanitary sewage that is not generated from urinals, or toilets. This includes showers, kitchen sinks, laundry etc. 9. WHAT IS BLACK WATER? Is all sanitary sewage from toilets and urinals. We strive to provide current and useful information to our customers.